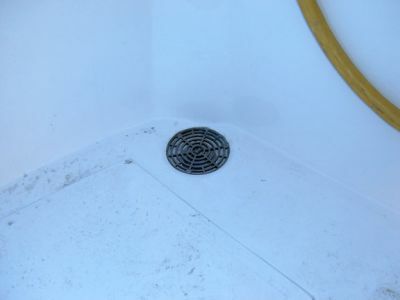 Despite efforts made to make sure water drained properly, the white area shows where water layed. I will now bevel an edge to direct water to the drain and then test is again to make sure it works. 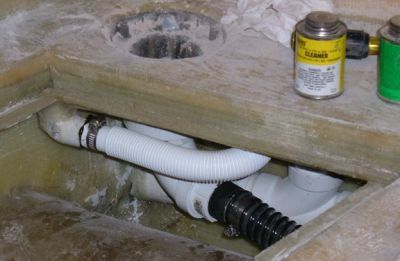 The time to make sure water drains properly is before painting. 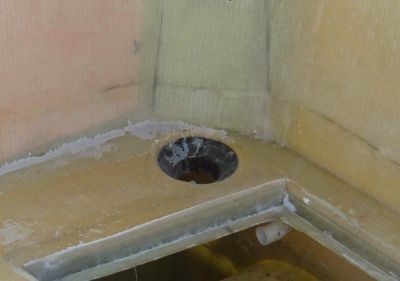 The drains for the new hatches, as well as the new and larger cockpit drains, are now connected into the exiting pipe. 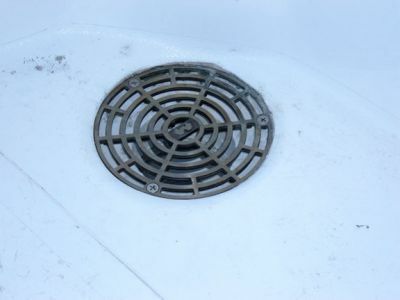 This large drain should allow everything to drain quickly. The hose is 1 1/2" and should not clog. This drain plate is nickle! The installation does not allow any area for water or dirt to accumulate.